Home » Piercing » What Are Your Favorite Types of Ear Piercing? If you are interested in ear piercing, you have to know different types of ear piercing. In fact, ear piercing is divided into many types because the piercing can be applied on different parts or spots of your ear. So, what is your favorite one? To decide what ear piercing you want to apply, you should pay attention to the common types below. Tragus is the inner part of cartilage that is located over your ear canal above the lobe. This is very popular since many people prefer this one to other options. It looks really great with some choices of jewelry such as hoops, studs and even combinations of other jewelry. This piercing is located at cartilage near the lobe as well as the opposite of tragus. Even though it belongs to the most common ear piercing types, this piercing is very painful. The pain can be felt during the process of piercing and also in recovery time. 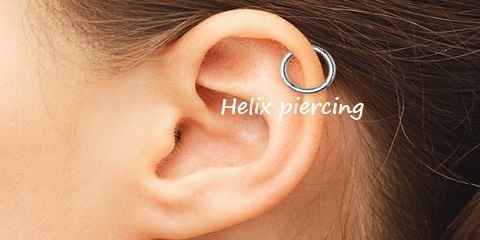 Helix piercing refers to any ear piercing located in outer cartilage rim of upper part of your ear. In this case, sometimes 2 piercings are located with one under the other. It is called as double helix piercing. It becomes the variation of helix piercing. This piercing is the cartilage rim in your ear between helix and above anti-tragus. This is where snug piercing will be located. Anyway, it still becomes one of the most popular ear piercing kinds you can choose. 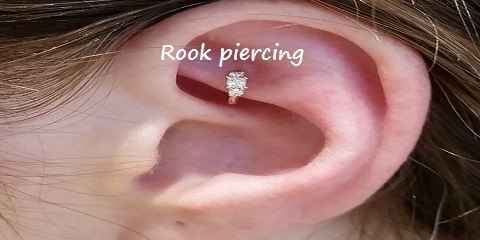 Where can you find rook piercing? You should follow antihelix round from snug to the end of cartilage rim. You may rock this piercing using some options of jewelry. The most recommended options are barbell and hoop. You can choose one based on your desire. Are you interested in this piercing? It is positioned in the end of helix located on the innermost area of cartilage near tragus. It looks very cool and elegant. With this ear piercing, you can go outside confidently. This ear piercing is located at the dip in your ear between antihelix & helix. 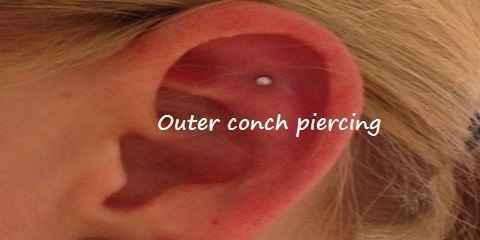 On the other side, inner conch is located in the next dip before ear canal and after antihelix. Even though it does not appear much, it still looks very beautiful. 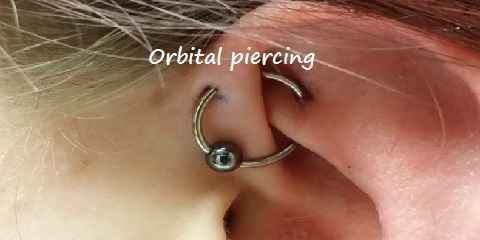 One of the most favorite types of ear pierce is orbital piercing. It refers to ear piercing where 2 holes are made at the same part of ear. Usually, a hoop piece of jewelry passes through both. However, you can make it in different places. Mostly, people love having this piercing in the lobe or helix. This is made in outer rim of ear at the top of rim above tragus. Usually, it is painful enough since it is made through your ear cartilage. Alternatively, you can also consider double or even triple forward helix piercing if you want. 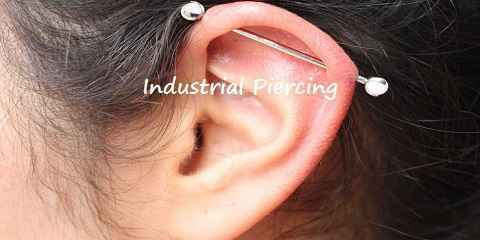 Another most common ear piercing is industrial piercing. It usually comes with 2 piercings through your ear cartilage. There are some options to consider but the most common type is through helix and antihelix connected with long piece of barbell. Alternatively, it uses cute arrow. This piercing creates peace, brave and strong impressions. 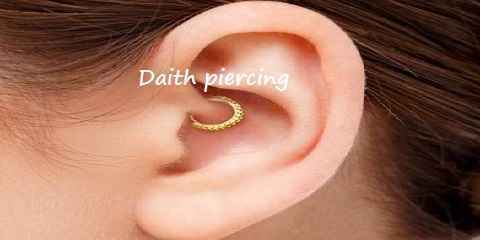 So, this cool ear piercing is very suitable to express your style.